A strong and spicy blue cheese from Northern Spain that is made from unpasteurized cow’s milk, but can also be blended with sheep and goat’s milk. Similar to a manchego, but a little bolder. This cheese is made on the island of Minorca. Manchego is an unpasteurized sheep cheese that has been made in the La Mancha plains for thousands of years. Manchego has a buttery, grassy flavor that is quite addicting. This is my very favorite Spanish cheese. It comes from the town of Casar de Cáraceres in Western Spain, on the border of Portugal. Each cheese requires the milk of 20 sheep to produce. Torta del Casar can be hard to find in the U.S. If you are lucky enough to find Torta del Casar, buy a full wheel and throw a party around it. Slice off the top rind and set the cheese out at room temperature several hours before serving. This salty, tangy and buttery-rich cheese will become runny and perfect for smearing on a piece of rustic bread. Very similar to Torta del Casar, this cheese is made just down the road in Badajoz. To me these cheeses are very similar, but I have not had the luxury of tasting both cheeses at the same sitting. I would love the opportunity to do a comparison tasting of these hard-to-find cheeses. This is a bold and spicy cave-aged Spanish blue that has been made for hundreds of years in the town of Valdeon. It is wrapped in sycamore or oak leaves. This high-butterfat, ash-covered, log-shaped goat cheese is made in Castilla-Leon, north of Madrid. It has a custard-like texture, a bloomy rind and citrus and pepper flavors. All I can say is try it! Spanish cheeses can be eaten as a tapas or as a dessert, but most generally do well with savory food pairings. I like to serve Spanish cheese with chorizo, serrano ham, olives, slow-roasted tomatoes, melted red peppers, and marcona almonds. 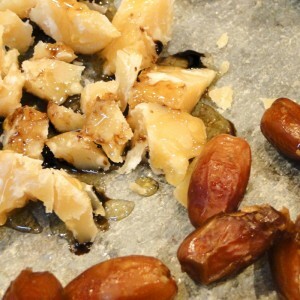 Many Spanish cheeses also do well served with a smear of raw honey. A fun alternative to bread or crackers is to serve Spanish cheeses with Spanish torta crackers. These over-sized, hand-made crackers come in a variety of flavors, including savory olive oil and a sweet sugared version. I like to serve Spanish cheeses with Spanish wines. Spanish sparkling cavas, such as Cordorniu Anna Brut, priced at about $15 a bottle, are an excellent choice. Likewise, Spanish riojas, such as 2006 Contino Reserva Rioja, which sells for about $18 at Costco, is another good choice. Spanish Sherry also pairs well with many Spanish cheeses. It depends on how many you are serving. In general, you don’t need much. If I am serving a large number of people, say 40 or more, I buy 10 - 12 cheeses in half pound portions. If you are serving a single cheese platter, with various types of cheese, quarter-pound portions, or even 2-ounces portions will do, depending on how many you are serving. In general you are looking to taste the cheese and not make a meal out of it. Unless, of course you get your hands on a wheel of Torta del Cesar or Torta de la Serena, then by all means grab yourself a loaf of bread and make a meal of it! 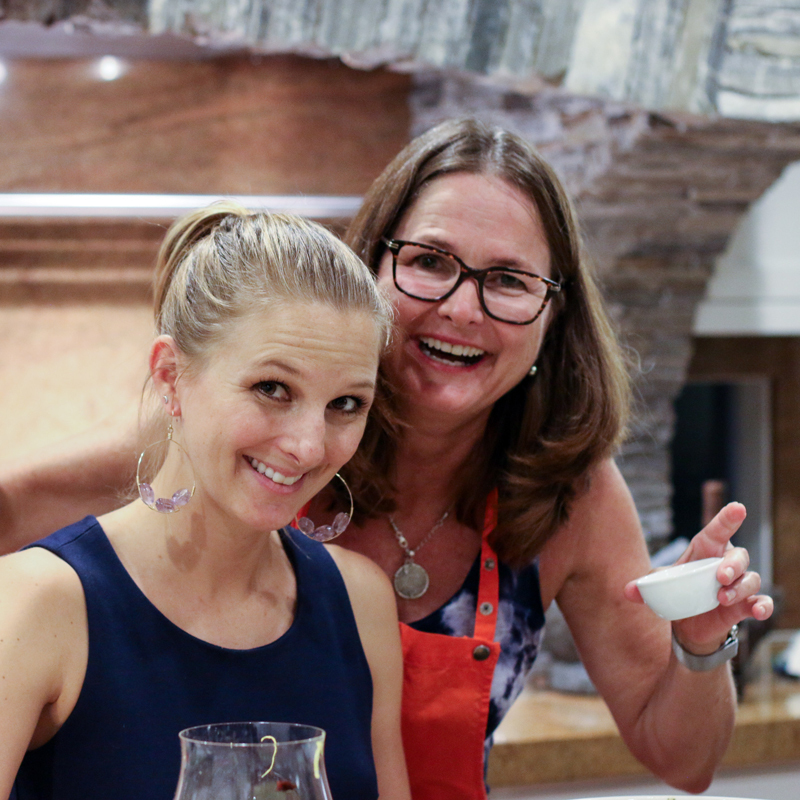 My favorite spanish cheeses with food and wine pairings. Set your cheeses out at room temperature about three hours before serving. Seed and remove internal membrane from red peppers and slice into long strips, about 1/4" wide. Put olive oil and vinegar in a skillet on medium heat. Add pepper strips, stir to coat. Reduce heat to low and cook until peppers are very soft and begin to caramelize around the edges, stirring periodically. This will take about 45-50 minutes. 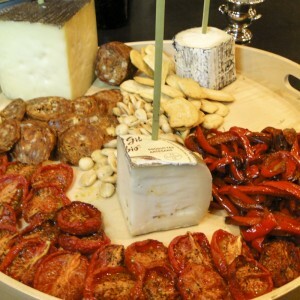 Place cheeses on a serving platter and surround with melted peppers, slow-roasted tomatoes, olives, marcona almonds and dried chorizo. I love to do hors d’oeuvres this style! I would probably cut the pepper strips in half. 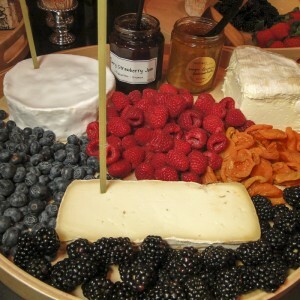 Having cheeses, a variety of different toasts and crackers, nuts, jams, etc. 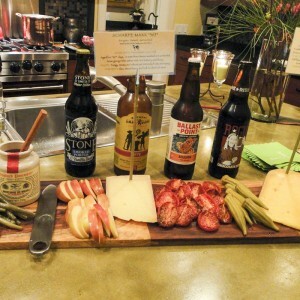 is the perfect way to introduce your guests to a variety of flavors to pair with appropriate wines and/or beers! This is a great posting! Thank you Christina! I agree. 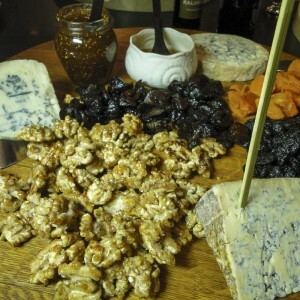 If you have a great cheese and charcuterie platter who needs dinner!